1. Firstly: You should plug and play the power adapter, indicator shows red light. 2. Secondly: You must use proper HDMI cable for "HDMI In" port, and connect another HDMI cable with your display device. 4. 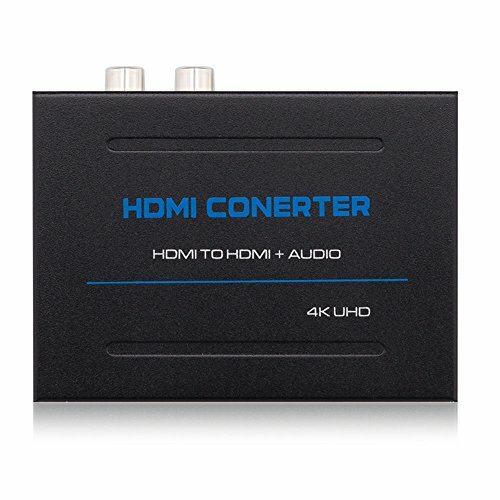 The HDMI Audio Extractor is 4s for connecting between input device and displays. PS: When input devices and output displays are connected, indicator will show green light. Package Included: 1x HDMI Audio Splitter, 1x 5V/1A AC Adapter, 1x User Manual. If you have any questions about this product by Unnlink, contact us by completing and submitting the form below. If you are looking for a specif part number, please include it with your message.